Careful crafting and triple-wood aging makes this Rum take flight. Santos Dumont was a real person. In fact, he was a famous French-Brazilian aviation pioneer and one of the first people to develop a powered airplane a few years after the Wright Brothers made their first flight (though in Brazil some say he made it first). Named in honor of this local hero, Santos Dumont Spirits LLC is based in Delaware and they currently have one offering — Santos Dumont XO Rum. Santos Dumont XO is relatively new to market, but we like what we taste. In Cognac the term “XO” is defined by law to mean that the youngest spirit in the bottle is at least ten years old. In the world of Rum the term is more fluid, but most of the time fine Rums with the XO designation are a minimum of six years old — so let’s go with that. 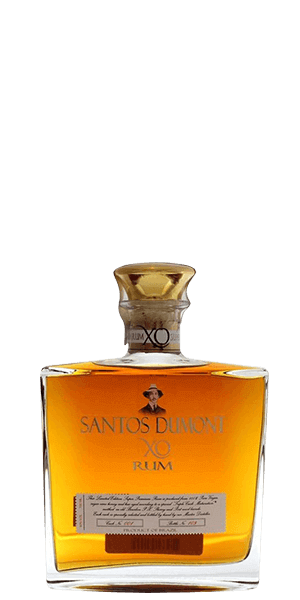 Importantly, Santos Dumont XO is triple-casked in ex-Bourbon, Pedro Ximenez, and Port Wine barrels. This is all good stuff and it adds substantial complexity and a delicate aroma that makes this Rum take flight. Each bottle is hand numbered and identifies the specific final cask it was drawn from. What does Santos Dumont XO Rum taste like? The Flavour Spiral™ shows the most common flavours that you'll taste in Santos Dumont XO Rum and gives you a chance to have a taste of it before actually tasting it. I bought this for my son as he likes to try different Rums, and he really liked this one.